Flea and Tick are one of the most common disease affecting pets including cats. While they continue to infect millions of cats across the globe, there are several treatment methods one can opt for, for eliminating these pesky parasites and one such product which does that brilliantly is Bravecto Spot-On. Bravecto Spot-On is a topical treatment method that effectively kills fleas and ticks in cats including ctenocephalides felis and black-legged tick. This formula gives protection for up to 12 weeks and is also effective in treating Flea Allergy Dermatitis (FAD) disease. How does Bravecto Spot-on work? Once Bravecto Spot-On is applied on the infected areas, the formula immediately reaches the tissue fluids beneath the skin of the cat. When fleas and ticks feed on your Feline, they come in contact with the already applied solution and die. What is key ingredient present in Bravecto Spot-On? Bravecto Spot-on contains Fluralaner which is a systematic insecticide and acaricide that assists in treating and controlling fleas and ticks. How to use Bravecto Spot-On for Cats? Bravecto Spot-on is an easy to use solution, provided you follow the below-mentioned directions. Hold your Feline in an upright position. Part the fur at base in order to make the skin visible. Place the twisted tip of the pipette on the skin. Use force and squeeze out the solution from the pipette on to the skin. Allow the solution to dry. Re-apply the formula after 12 weeks. Buy Bravecto Spot-On at 22% Discount with Free Shipping! How safe is Bravecto Spot-on for Cats? This solution is completely safe for cats and possesses no such severe side effects unlike other Spot-on formulas. 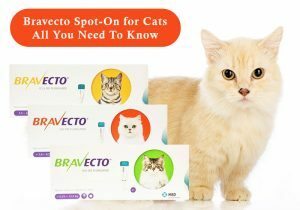 Bravecto though, cannot and should not be used on cats below six months of age as well as for pregnant, lactating and breeding cats. So, what are the potential minor side effects of Bravecto Spot-On? Side effects in Bravecto Spot-On are very uncommon but they do exist. Vomiting, Diarrhea, Lethargy, Loss in Appetite, Alopecia and Lesions are the possible side effects caused by Bravecto Spot-On. Luckily though, these side effects are not very serious and will fade away within a few days. Which company manufactures Bravecto Spot-On? Merck is one the more renowned brands going around and they are the ones who manufacture Bravecto Spot-On. Next time when your cat is infested with fleas and ticks (we hope not), do not hesitate to use Bravecto Spot-On because it is arguably one of the best solution for treating and curing fleas and ticks in Felines. Also read: A 2-minute guide on How to take care of pet’s skin and coat? 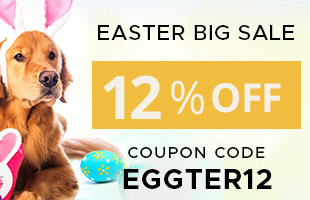 to keep your pets healthy and happy.